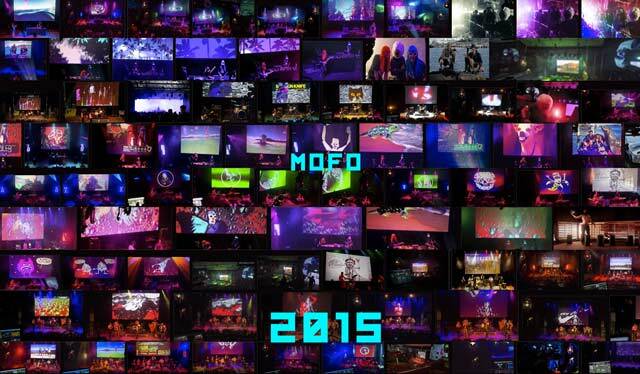 So Mexico morphed into MOFO… and now it’s late January 2015. Anyways. Here is some documentation for what happened in Hobart, the Mexican samples will have to wait a little longer. I was in Hobart to do triple-Screen Video Projections at ‘ Faux Mo‘, which is the afterparty venue each night for the MOFO Festival, connected to the MONA gallery in Hobart, Tasmania. It tends to be eclectic – here’s the program. Highlights included doing video for – the Frikstailers, (rad Argentinian duo), ZA! (Barcelona crazies! ), Chupacabra (Hobart based Latin American band),Vulgargrad (Russian-gypsy-punk! ), The Osaka Ramones (Aka Shonen Knife doing Ramones covers), Mad Professor (dubb-b-b), and The Bird– and getting to animate the illustrations of Hobart artists – Tom O’ Hern and Dane Chisolm. 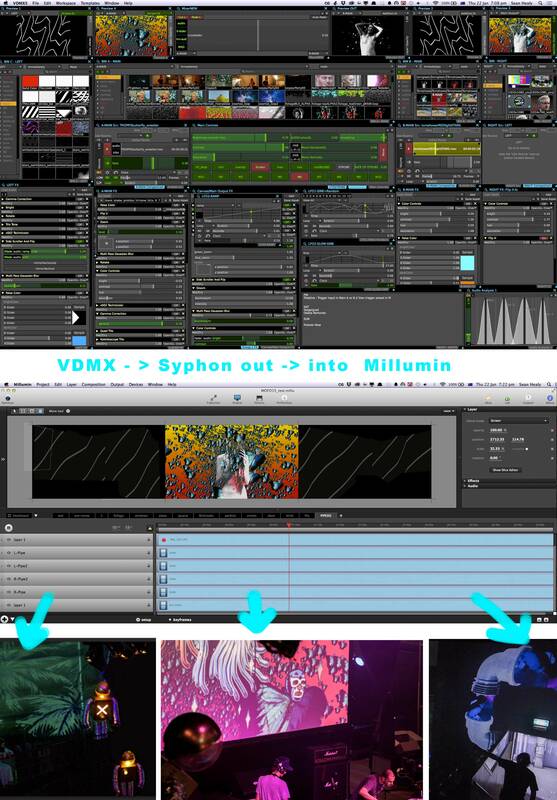 Video-wise, I was running a combo of VDMX and Millumin to trigger, manipulate, sequence and map the videos to a mainstage screen, and two side-wings. – some of Tim Hecker‘s set had me transported, Zammuto (ex-Books) have a pretty engaging and fun audiovisual live set, playing on Robin Fox’s laser-organ was surprisingly engaging, Filastine + Nova delivered a very tightly crafted audiovisual set, there was some impromptu whisky-bar parkour by Jamin, Keith Deverell‘s beautifully shot film installation used mirrors and a walk-through screen very effectively, and finally managed a few moments inside the inflatable labyrinth by Architects of Air, before departing. Thanks Hobart! Click through for a photo-slideshow below, or browse directly.